Holiday Club Resorts Oy and Kuortane Sport Resort have entered into a cooperation agreement over the sales of timeshare units at the Finnish resort. The deal, which became effective on 3 May 2017, makes Kuortane Sport Resort the 32nd resort of Holiday Club, Europe’s leading holiday ownership company, and a subsidiary of Mahindra Hotels and Resorts India Limited. Holiday Club Kuortane Sport Resort, located in connection with the Kuortane Sports Hotel, includes 54 holiday homes, which range from four-person studios to three-bedroom flats with beds for ten. The modern holiday homes are well-equipped, and each includes a kitchen, private sauna and glazed balcony. The flats are located in the same building with the resort’s services, activities and restaurants. Tapio Anttila, HCR’s director, Timeshare, Villas and rental business, said: “Kuortane Sport Resort completes the range of Holiday Club resorts both geographically and in terms of content. 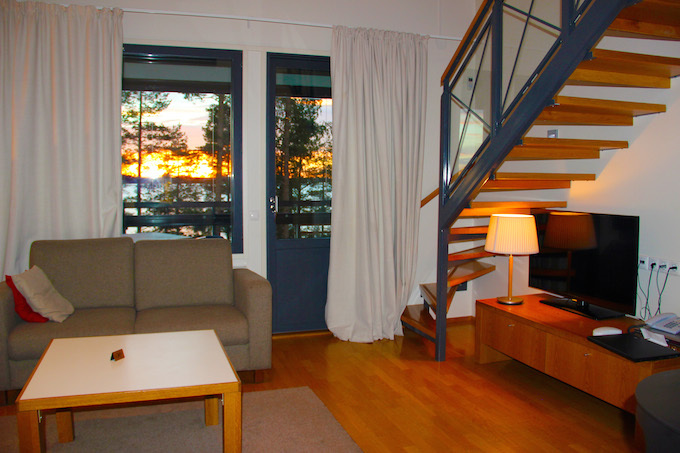 The resort is located on the shore of Lake Kuortaneenjärvi, in Southern Ostrobothnia, about 40km from Seinäjoki. The resort offers sandy beaches, forest paths and lovely lakeland scenery as well as a range of activities for all the family, including 10-pin bowling, golf, tennis, swimming and variety of ballgames. Winter activities include skiing, snowshoeing and ice-fishing, while hiking and Nordic walking are popular pastimes in autumn and spring. Holiday Club has also opened its own sales offices in Kuortane Sport Resort, and current Holiday Club timeshare holders will be the first to explore the new resort that has already piqued a lot of interest. Jussi Töyrylä, CEO of Kuortane Sport Resort, said: “Holiday Club will bring to Kuortane its extensive experience in timeshare operations. This will add to the attraction of the resort, which is already strong.